Complete Kitchen in a Box! 15 Piece Cookware + 5 Piece Bakeware Set! Meet the Gotham Steel Pan with our revolutionary Ti-Cerama coating that combines super strong titanium fused with super slick ceramic for the perfect balance of nonstick and durability. 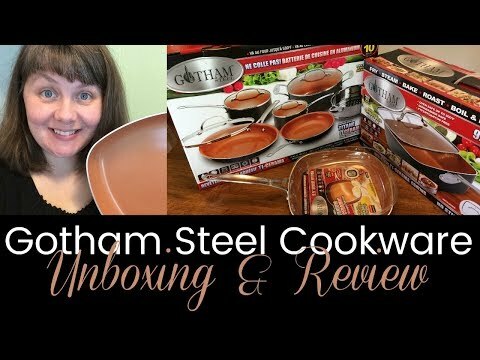 With nothing sticking to the pan and food sliding off like you’re cooking on air, Gotham Steel will change the way you cook – and clean. We’ve tried everything from burnt cheese to melted candy with the same exhilarating result – nonstick and easy clean up.